Free Technology for Teachers: Social Studies Teachers, This Is For You! Back in November I released my popular Teaching History With Technology course in an on-demand format. It has proven to be a popular format as more people have participated in the on-demand course in December than in all of the combined live versions of the course offered earlier in the year. 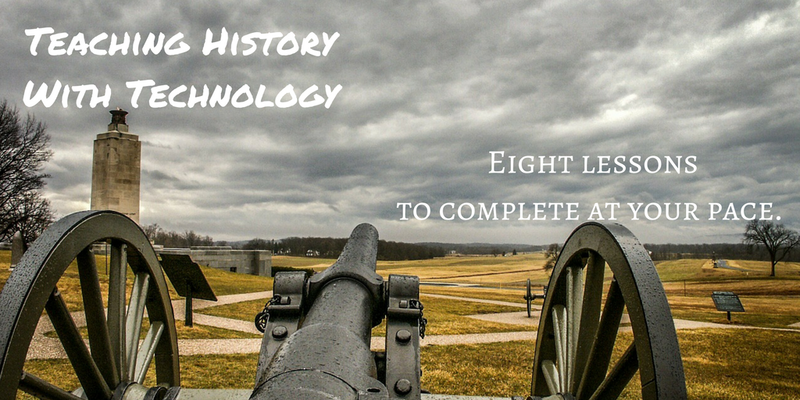 If you would like to join Teaching History With Technology, you can get started right now. This course is delivered in an on-demand format. What does that mean? It means that you can complete the course at your own pace. Each lesson of the eight lessons in the course will be emailed to you once a week for eight weeks. You can start at any time. The first lesson is emailed to you the same day that you complete your registration. Hit reply on any email that you receive during the course to ask me any questions that you have. Each lesson contains a video (20-30 minutes), a handout containing the outline and additional resources for each lesson, and a suggested activity to complete with your students. $97 $67 until midnight (ET) on December 31st.